El Nuevo Herald is reporting that Venezuela's Nicolas Maduro sent a high-level diplomatic team to the Dominican Republic with the objective of gaining the freedom of 5 suspected drug smugglers. The 5 Venezuelan nationals were caught with 359 kilos of cocaine in their Cessna, and would have under most circumstances been denied bail, especially after last year's Air Cocaine scandal involving French pilots who were also caught with a jet full of cocaine and managed to escape back to French soil with the help of members of France's parliament. The man directly responsible for helping the two French pilots escape was recently extradited from Egypt to the Dominican Republic, with DGSE, France's intelligence agency, catching fire the same night and burning valuable evidence to the ashes of history. Over the past decade, while other economies in the region contracted, the Dominican Republic has been experiencing an economic boom. However, this financial progress has come at a cost to social safety, with the island become the central hub in international drug trafficking. Former Dominican President Leonel Fernandez, in a conversation leaked by imprisoned US Army Private Chelsea Manning, told the at-the-time US Ambassador to Santo Domingo that it was often difficult to discern whether someone's wealth in the Dominican Republic was acquired lawfully or through illicit drug trafficking. According to an anonymous source speaking to El Nuevo Herald, President Maduro's diplomatic team moved quickly, and the next day a Dominican judge had set the 5 suspected Venezuelan smugglers free. President Maduro, in immediately putting maximum pressure on a country that depends heavily on its subsidized oil, avoided the type of incident that saw members of his own family embroiled in an international drug-trafficking conspiracy. In November of last year, President Maduros' nephews-in-law were arrested in Haiti with 800 kilos of cocaine and charged with attempting to traffic it to the United States. 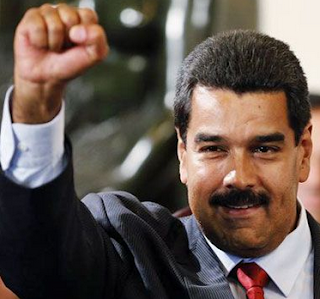 The Maduro government immediately accused Washington of embroiling his nephews in a conspiracy in order to attack the Bolivarian Revolution, and would have likely accused the ruling Dominican government of involvement with Washington had the drug traffickers not been freed. Dominican President Danilo Medina, facing re-election in a couple of months against a surging nationalist party which broke off from his coalition, the National Progressive Force, cannot afford accusations of involvement in a Washington conspiracy. The judge responsible for setting the suspected 5 Venezuelan traffickers free is currently facing an investigation by the Dominican Senate, but she is likely shielded from the top and will stay in her position.